Noni juice benefits are not only limited to various aspects of good health, but also extent to healthy skin care. Noni juice has several key ingredients that have been scientifically proven to be beneficial for good skin health and skin healing. Some of these key ingredients are linoleic, linolenic, and arachidonic - three essential polyunsaturated fatty acids for the body. The human body cannot manufacture these components and therefore the best source is from food. The main benefits of these fatty acids with respect to the skin are that they counteract skin trauma, prevent dry skin, and allow skin to maintain it’s integrity. Therefore, a reduction in the signs of skin aging is one of the many noni juice benefits. 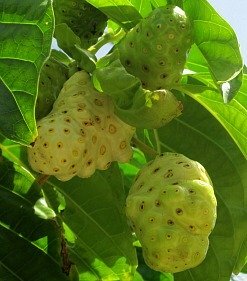 There are other naturally occurring ingredients in noni that provide noni juice benefits for the skin. Glycerol and butyric acids are useful in combating excessively dry and rough skin. Caprylic and capric acids present in the juice combine with glycerol to form triglyceride compounds in the body. Triglycerides lubricate the skin as well as the scalp and hair and also work in conjunction with other nutrients present in the juice to ensure skin maintains its smoothness, plumpness, and young looking appearance. In one survey performed by a physician, out of 877 people that used noni juice specifically to enhance their skin, 78% reported positive noni juice benefits. Noni juice also contains scopoletin, which has anti-inflammatory and histamine-inhibiting effects. Anti-inflammatories can be used for some skin conditions. Histamine-inhibition is very usual for treating hives, allergic skin reactions, and dermatographism. Normally anti-histamine medications are prescribed. However, drinking this juice allows you to treat histamine related skin conditions in an all-natural way. Dermatographism is the appearance of hives or raised welts on the skin surface in response to friction on the skin or applied pressure. The body releases histamine in response to the friction and welts appear in the shape or pattern of the applied pressure or friction. Because noni juice is histamine inhibiting, it is an all-natural way to lessen the symptoms of dermatographism. 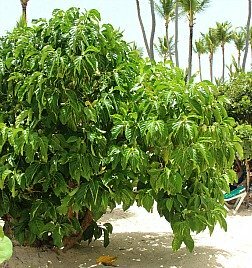 In addition, because the benefits of noni juice work down at the cellular level, it may help to combat the cause of the dermatographism problem. Suffers of dermatographism often need to be on anti-histamines for long periods of time. Because of the concerns with side effects of prescription anti-histamines, using an all-natural product and utilizing the noni juice benefits, makes a lot of sense. In addition to taking noni orally, the noni benefits can be experienced by using noni juice topically for skin conditions. Topical application is also beneficial for the rest of the body because of noni’s ability to penetrate the skin to reach problem areas inside the body. Basically, a cotton ball for smaller areas or cotton gauze for larger ones is saturated with noni fruit juice and kept on the wound. The compress should be kept in place for at least one hour or two, once or twice per day or overnight until the condition shows improvement.